Looking at the photos I can confirm that they show one of my Raven Fighter type models. 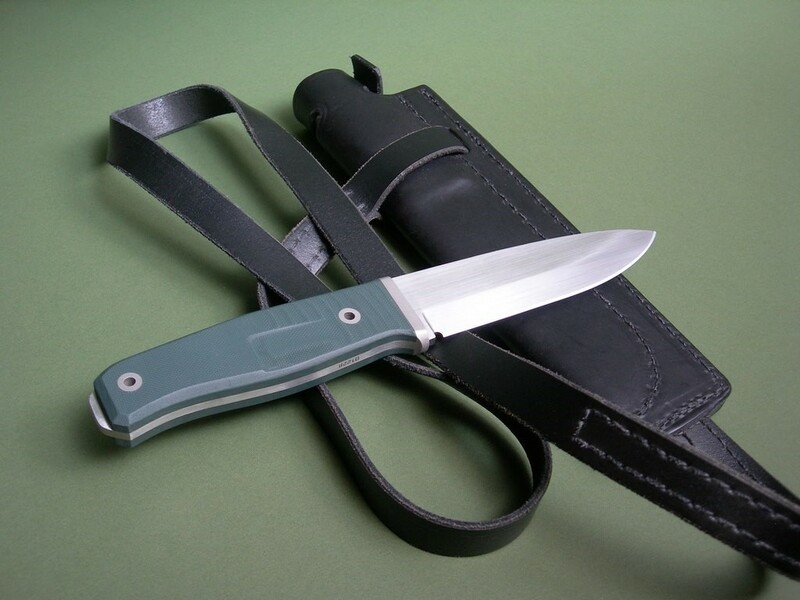 I only made a handful by each by special request a few years back, no two were quite alike. 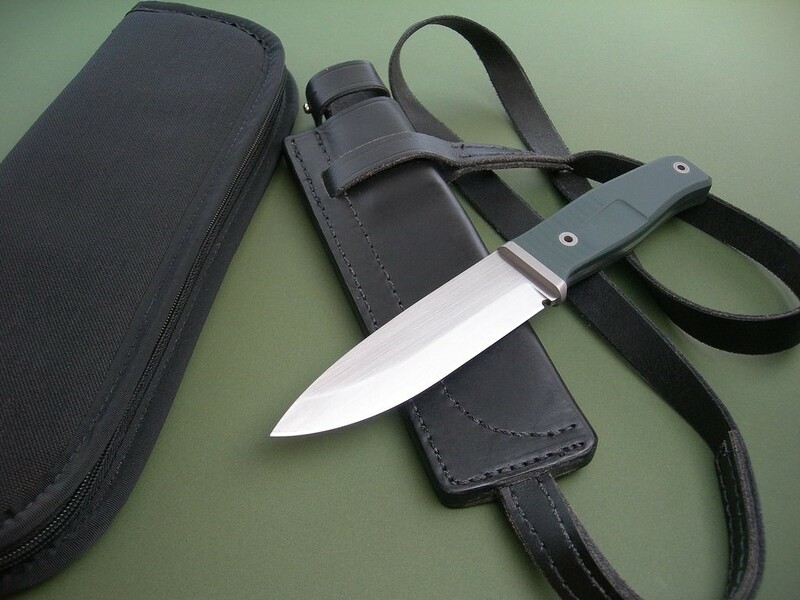 The pictured knife features a slightly deeper blade profile and from memory the sheath was a unique prototype shoulder rig. 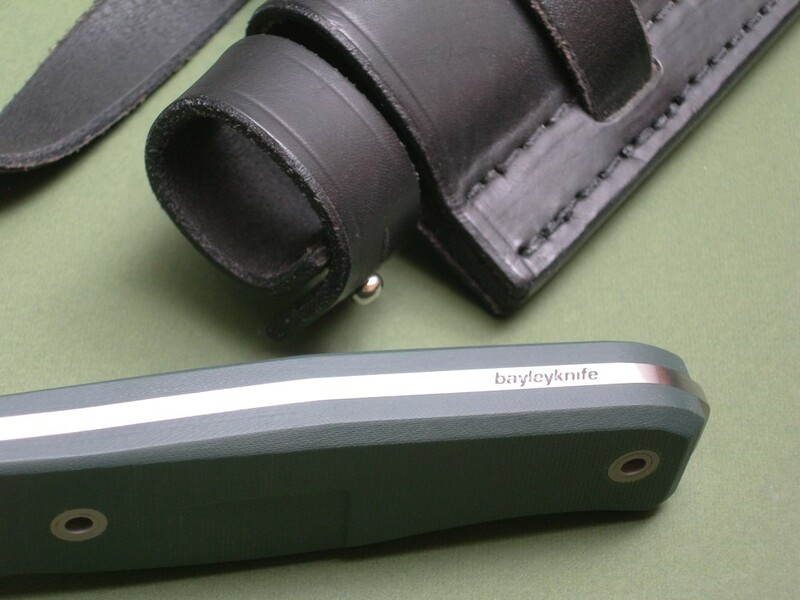 In all it was a one off commission and the pre- 2013 style serial number indicates that the knife was the 20th knife that I made in 2012. 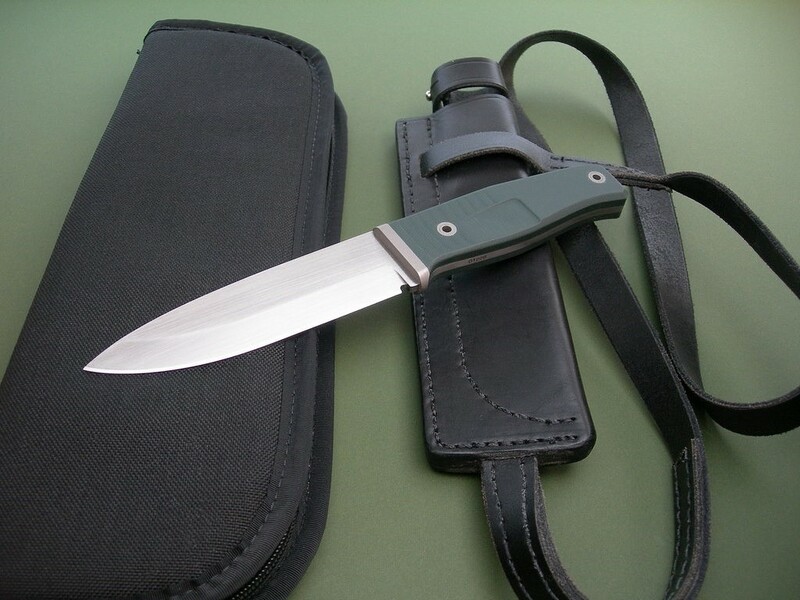 This custom Raven has a 5" blade with green G10 scales and is in mint condition. 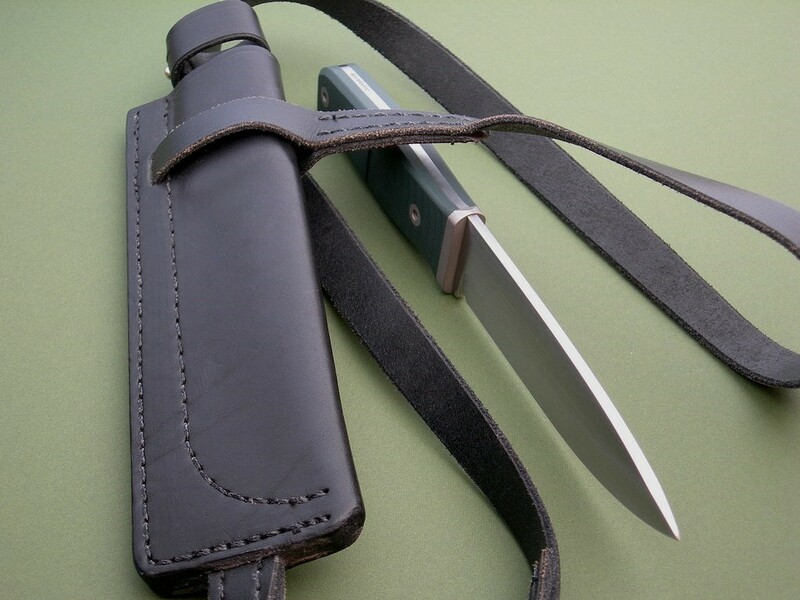 The custom sheath is a 1-Off deal... a shoulder rig that Rob stated in his email is a prototype. 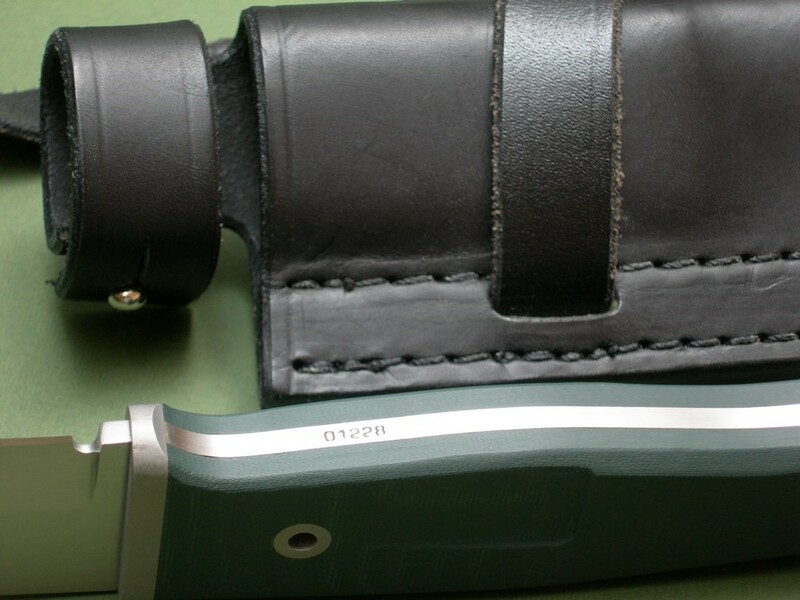 The sheath has a few handling marks on both sides, easily excellent+++ or better condition. 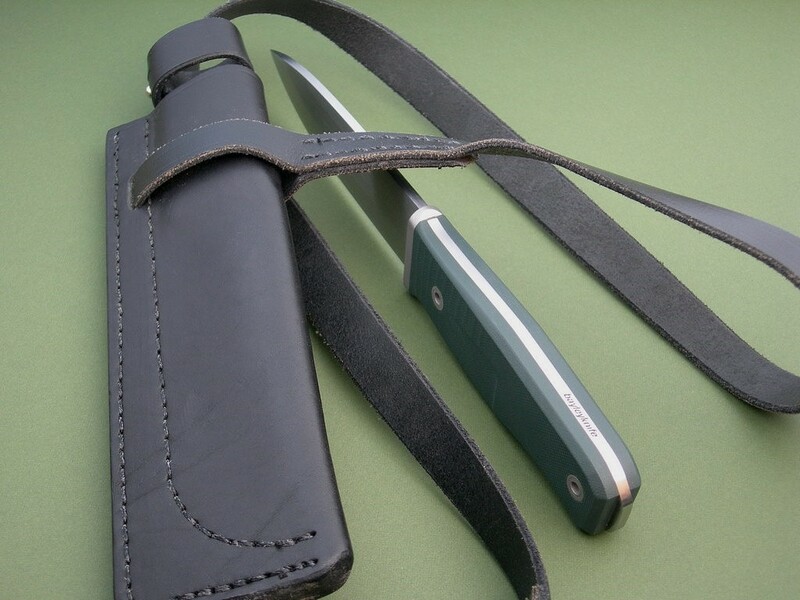 10 photos for review – as shown, a new black canvas carry case is included. 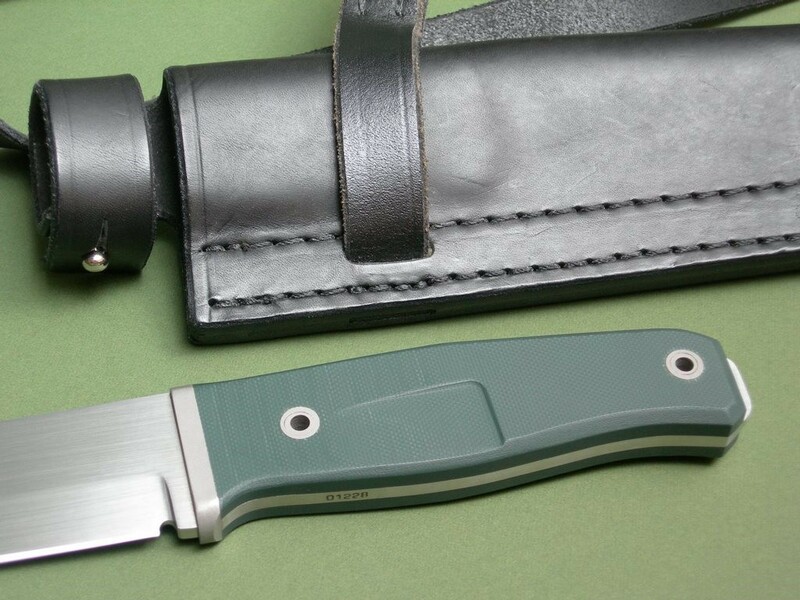 Longer blade, exposed tang, prototype shoulder rig... what more could a collector ask for? Check it out...it’s a one of a kind set-up. Thanks and good luck.